… And I’m not talking about Santa Claus and jingle bells. Like me, you may have fallen prey to a horrible abomination simply called “The Girl Scout”. Sure they look like cute little girls with pigtails, brown and green uniforms with brown sashes that display pieces of flair but deep down lurks something evil. Samoas, Tagalongs, Thin Mints, Do-Si-Dos etc etc. You probably have a Girl Scout Connection right? Same here. My coworker’s daughter is a girl scout and when she gave me the order form I was just going to order 1 box to support her daughter but something happened and I found myself spending $40 for cookies. I still don’t know how that happened. I have no memories of it. I do remember a brilliant flash of red light a second before though. Weird. What’s my name again? Butter the springform pan. (Don’t skip this step!) 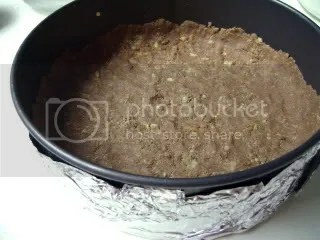 Wrap the bottom of the pan in a double layer of aluminum foil; put the pan on a baking sheet. Combine the cookie crumbs, sugar and salt together in a medium bowl. 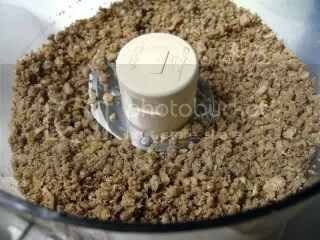 Pour melted butter over cookie mixture and stir until all of the dry ingredients are uniformly moist. 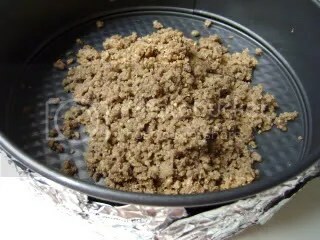 Pour the cookie mixture into the buttered springform pan and use your fingers to pat an even layer of crumbs along the bottom of the pan and about halfway up the sides. Put the pan in the freezer while you preheat the oven. Preheat the oven to 350°F and place the springform on a baking sheet. Bake for 10 minutes. Set the crust aside to cool on a rack while you make the cheesecake. Reduce the oven temperature to 325°F. Put a kettle of water on to boil. In a stand mixer (or hand mixer), fitted with a paddle attachment beat the cream cheese at medium speed until it is soft, about 4 minutes. 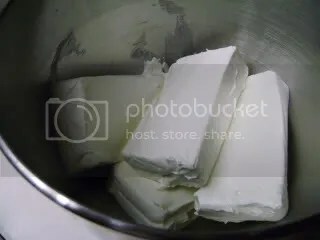 While mixer is till running, add the sugar and salt and continue to beat another 4 minutes or so, until the cream cheese is light. Beat in the vanilla. Add the eggs one by one, beating for a full minute after each addition to produce a well aerated batter. Reduce the mixer speed to low and stir in the sour cream and/or heavy cream. Use a rubber spatula to make sure that nothing has been left unmixed at the bottom of the bowl. 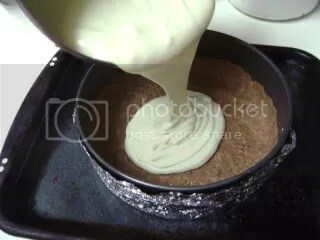 Pour the batter into the springform pan. Put the roasting pan with springform in the oven and pour enough boiling water into the roaster to come halfway up the sides of the springform pan. Bake the cheesecake for 1 hour and 30 minutes. Turn off the oven’s heat and prop the oven door open with a wooden spoon. Allow the cheesecake to luxuriate in its water bath for another hour. 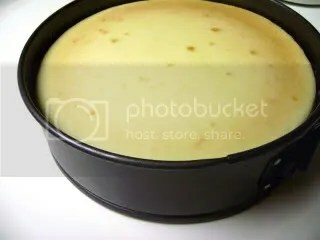 After 1 hour, carefully pull the cheesecake out of the oven, lift the springform pan out of the roaster. (Warning: Be careful, there may be some hot water in the aluminum foil.) 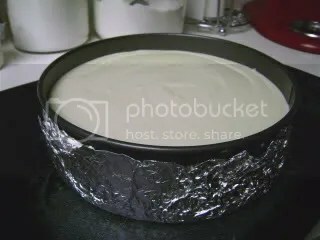 Remove the foil and let the cheesecake come to room temperature on a cooling rack. When the cake is cool, chill the cake in refrigerator for at least 4 hours, although overnight would be better. Remove the sides of the springform and cut with a long thin knife that has been warmed under hot water and wiped dry. Samoas? Awesome. Cheesecake? Delicious. Samoas Cheesecake? Practically perfect (dessert) in every way! The only thing that kinda sucked is that I forgot to the butter the pan so the samoas cookie crust stuck to the pan but I wasn’t above scraping it off. Lesson learned. Don’t forget to butter your pan! Entry filed under: cake. Tags: cheesecake, samoas. 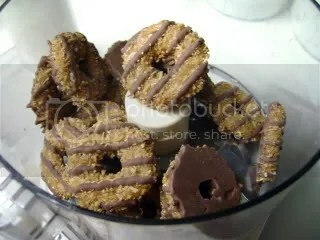 I L-O-V-E Samoas! Caramel deLite? I never heard of them called that. For me they are just like potato chips, you cant just have one. 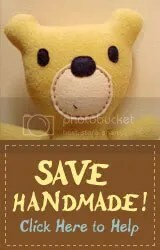 ;) And i love the recipe you have for the homemade ones! YAY! Hehe, I ‘m the first comment. So true. I can’t eat just one. Usually I eat the whole box in one sitting! SO BAD but oh so worth it… haha. Hurray for first comment! w00t! I may have told you this before, but a girl scout leader told me that there are two production facilities and the name changed based on which place your box came from. So there are still Samoas and Caramel DeLites. Sometimes you get one, and sometimes the other. I don’t know if its actually true, but I know the newer names but me too. How did the crust work having the caramel in the cookies? Did it manage to release okay or did it stick really bad? This sounds yummy. Oh crazy! I didn’t realize it was a difference in facility. The past couple years I’ve gotten Caramel deLites so I just assumed they changed the name everywhere. As for crust. I forgot to the butter my pan so I assumed the stickage was from that but maybe it was the caramel? No matter. I am not above scraping the pan to get to the crust goodness… yum! It never fails — I walk by the cute brownies and g scouts standing outside my local Trader Joe’s determined to say “no thank you”, and each I fail miserably and buy a couple of boxes. I have 8 boxes (samosas, thin mints) sitting in my freezer, and this cheesecake is a perfect vehicle for the cookies…great idea, great job Clara! Great way to use those cookies! I never give into the cookies because I bake too many sweets on my own! 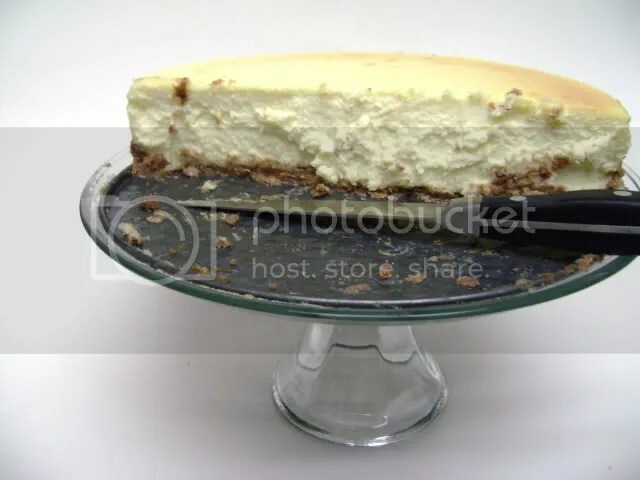 The cheesecake looks great. I hear Dorie’s recipe is a winner, I need to try it still! 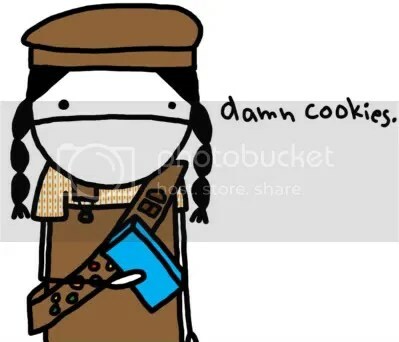 I am so bad b/c I bake and I have to buy GS cookies. It’s a sickness. Dorie’s recipe is the best I’ve ever eaten and that includes restaurants. 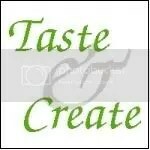 I’ve made it so many times for friends and family and always have rave reviews! You SO need to try it! I managed to avoid the work pitfall this year (no one I work with directly has a girl scout at home). And the Trader Joe’s near me doesn’t have the girl scout table outside. BUT I went down to a different grocery store last week and there they were. I thought I could resist or at least delay the decision by saying I’d get some on my way out. But the more forward of the two sweetly informed me that they were about to pack up and leave. SO I panicked and bought 3 boxes… so evil. The cheesecake looks scrumptious. And it is a very creative way to use up the cookies. haha. Those GS are so clever. I swear that GS gives them marketing seminars on how to sell cookies. The “oh we’re leaving soon” or “we’re almost out of cookies” gets me every time! OH I can never resist those little girl scouts. They get me every time. I love the thin mints, do-si-do (peanut butter oatmeal sandwich cookies) and trefoils (the plain old shortbreads). I also have learned to go to Walmart at odd hours so as to avoid being nabbed by a brownie. I did pretty good this year, only bought 5 boxes total. *Only* 5 boxes huh? HAHA. I think the GS season is almost over. I am avoiding grocery stores until the end of the month to be sure. At least that’s the excuse I am giving my husband for taking me out to dinner b/c I can’t cook. teehee. I’m a stinker. AMAZING!!! What a creative creation! I’m seriously spewing nasty words right now. A SAMOA CHEESECAKE????? Have you no respect for my waistline? I’m not going to be able to get anything done for the rest of the week because I’m going to be stalking girl scouts! Dammit. YOU!!!!! LOL @ cookie pusher. I call girl scouts my cookie dealers. If I say it too fast some ppl think I am saying “coke dealer”. Cracks me up! I will now sink into a depression. You see, I still haven’t even seen any girl scouts out at the grocery store to get some cookies and don’t know any. No Samoas for me. And that cheesecake looks and sounds so ridiculously good. And none for me. Sigh. I’ll just slink off and have a little cry now. I just had my very first girl scout cookie today (well first box! lol) It was a historic moment for me! First? Dang girl. Where have you been? 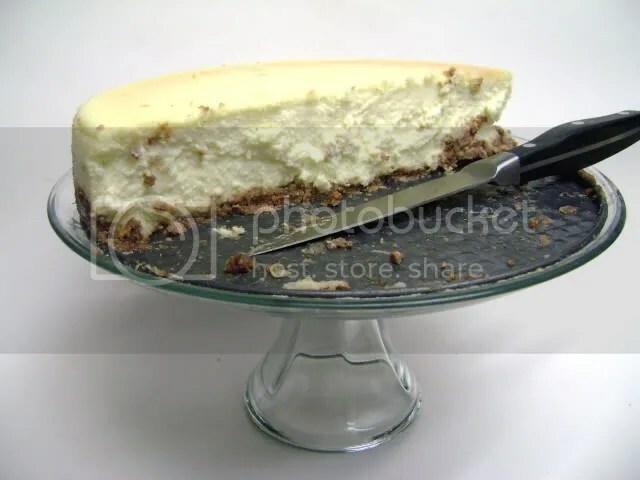 What I have taken to doing when I bake cheesecakes is cutting a piece of parchment paper that is slightly larger then the bottom of my springform pan. I then line the bottom of the pan and have the excess hanging over the edge and it gets stuck on the outside of the pan when I pop it into place. 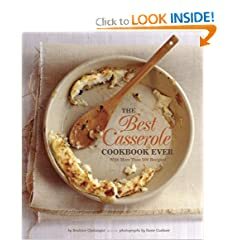 This works great because I NEVER have to worry about any part of my cheesecake getting stuck to the bottom of my pan and makes clean up super easy. Hopes this helps for the future. Ooohhh good idea about the parchment paper. I am totally gonna try that the next time I bake a cheesecake. Thanks!